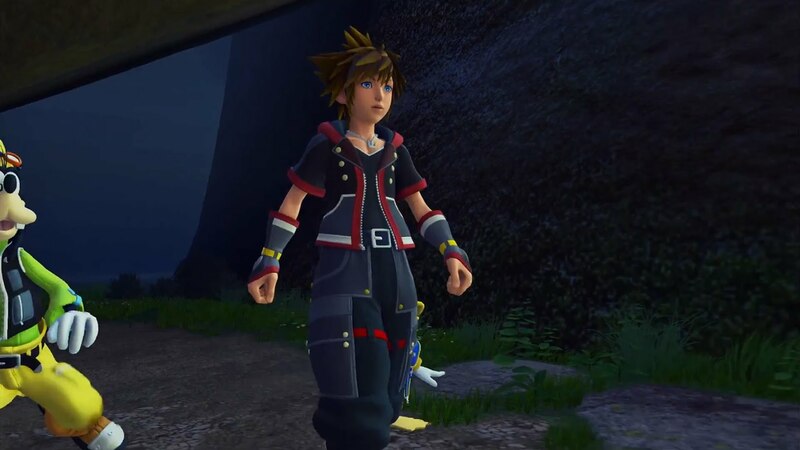 Square Enix released a brand new trailer for Kingdom Hearts III almost a full four years after it was originally revealed at E3 2013. My original headline about the game’s announcement so many years ago told readers that “no you’re not dreaming, Kingdom Hearts 3 has been announced” and now this latest trailer opens with “Don’t assume your dreams are just fantasy” – for the entire series fan base and enthusiast press playing KH III has been relegated to the realm of dream or fantasy since the title has yet to appear at a major industry convention or conference in anything but pre-rendered trailer footage. As for the details about what’s going on in this trailer… well, I haven’t the slightest gosh darn clue. My wife and I are slowly playing through the series and I’ve still got three games left (Dream Drop Distance, Birth By Sleep, 2.8 Prologue) before I am completely caught up. So far the series plot (to me) is slightly disjointed but still enjoyable, if not a little off the wall. If you want to see pretty visuals of Sora pulling off cool combo moves, Pete and Maleficent rendered in crisp PS4 HD and for the first time four party members active at once – watch the trailer below. While there’s no release date the end of this trailer, Square Enix does promise the reveal of a brand new world and another new trailer at D23 this coming July.